The Inflight Reader app is a content discovery channel that allows travelers to easily sample your content whenever they travel through more than 530 US and over 150 International airports. You now have the ability to engage, entertain, and enlist your brand's most desirable consumers. Contact us to add your publication to the InflightReader app today! 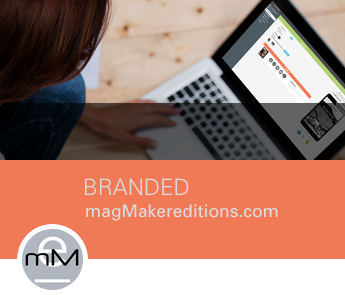 With magMaker Editions, publishers get their own branded iOS, and Android apps that look and feel custom built. Publishing to magMaker Editions is as easy as logging in and uploading the same PDF file that is sent to the printer. Additionally, our interactive tools provide extended brand engagement opportunities that add increased value for your advertisers. You now have the ability to align your brand with the desires and interests of your current and future customers. Contact us to set up a risk-free account for your branded app today! zinnApp is a FREE open web platform that gives everyone the ability to create, publish and share content to smartphones, tablets, desktops and laptops. Visit zinnapp.com and start making and sharing your own web apps today! We are here to support your embrace of the future. As such, we can supplement or assume your digital content distribution workflow. Our design and production teams can work with your staff to ease distribution workflow demands and let you focus on creating great content. The numbers don’t lie. The entry point for current content distribution platforms and the resources necessary to support them are far too costly for most publishers. We are committed to the value and success of your brand. Distributing your content through our platform can help you monetize it better than ever before. Publishers can choose to extend the power of our Content Distribution Platform with the the development of completely customized apps or special issues with a full array of interactive features. The inextricable truth about content publishing is that success is directly tied to ad revenue. A Content Distribution Platform must provide relevant data that gives publishers the ability to identify users and communicate with them directly, or as part of specifically identified influencer groups across multiple channels. Additionally, the presentation of that communication must not annoy users, but rather give them control over multiple options for engaging with contextualized messages. We understand the power of demographics. Our platform is driven by that understanding and brings the best of direct marketing to digital. We are led by a diverse team of highly qualified marketing, publishing, technology, and communications professionals. That knowledge base has directly informed the creation of our platform and continues to challenge us to develop new and innovative strategies for how it can be deployed. We offer our best thinking about how we can assist you in extracting the maximum amount of value from your brand and your content. We have taken our deep practical and historical knowledge of direct marketing, demographics, and consumer behavior and applied it to current technologies in a way that is unique in the industry. We understand that for brands, the most valuable point in the consumer cycle is when the consumer is determining their intent, not after their intent has been established. Unlike search, social, and most of the display advertising and marketing tools currently available in the digital space, our platform allows your brand to be presented to the perfect audience at the appropriate moment – the moment that intent is determined. That is when your brand is welcomed and not intrusive, desired and not thrust upon the consumer. Meeting the consumer at this point of agreement is when you realize the most optimal ROI possible. We would like to introduce your brand to the future of digital marketing. It is a future that marshals the best direct marketing practices of the past, leverages the virtually frictionless nature of the digital delivery environment, and allows you to communicate with your customers in a friendly, welcomed and truly engaging manner. We look forward to helping you embrace your future customers. F2F | 6Sixty digital Inc. is led by a diverse team of highly qualified marketing, publishing and digital communications professionals with extensive experience in both print and digital content development and delivery. Our experience includes strategic planning, Internet communications, mobile development, database, and application development and mass communications systems. We are also intimately aware of the challenges and opportunities facing the global publishing industry and how they relate to the goals and objectives of today's publishers. As a full-service digital agency, F2F | 6Sixty digital Inc. offers significant relevant experience in developing mission-driven digital strategies that are measurable and targeted towards maximizing the needs of publishers, consumers, and sponsors. Adeesh is responsible for overseeing the company's product engineering. Adeesh is co-founder and CTO of Demansol Technologies. Adeesh has logged over 9 years of experience in developing and managing the development of mobile applications, games, website development and the complete Software Development Life Cycle. Before founding Demansol Technologies, Adeesh was one of the founding members of Wirkle Tech which was acquired by Location Labs. Adeesh served as the Mobile Technical Head at Wirkle Tech where he helped develop the solutions for a variety of different companies including Logitech/ Mobideos and others. Adeesh was an original member of the Wirkle Tech team that developed their Patented WAML technology for optimized mobile data transfer. Ali is responsible for the architecture and execution of the company's products and technology direction. With over 25 years of publishing, marketing, and communication experience, Ali received practical media training during his 17-year tenure at The New York Times. As a manager there, Ali was instrumental in The Times' conversion from traditional to digital photography and was a member of the original team that transitioned the paper from a black & white to a color publication. As co-founder of the 6Sixty Group, a New Jersey based communication firm, Ali directed a major re-branding and communication effort for the City of Newark, New Jersey. He led the effort that crafted a strategy combining traditional marketing with technology-based solutions to develop a program focused on addressing quality of life concerns of Newark’s various constituencies. Dan is responsible for the company's intellectual property and primary technology concerns. Dan has over 20 years of experience in the technology industry building compelling consumer sites, services and products. He co-founded WorldLive Mobile after serving as the CTO for IDT's Internet Mobile Group and its Zedge mobile content website. Previously he was founding CTO at drspock.com and iVillage where he built and launched multiple online properties. Earlier he was CIO for Perot Systems, and held product development roles with NeXT, HP, Sun Microsystems and Apple. David is responsible for the company's product and sales strategy. David has worked for both magazine publishers and national distributors for the past forty years. He was the co-founder of Waiting Room Subscription Services and Publishing Management Services. Waiting Room Subscription Services (WRSS) was largest public place provider of magazine subscriptions to waiting rooms and offices in the country. Publishing Management Services, established in 1983, provides circulation and marketing expertise to major publishers such as Time Inc and Conde Nast as well as to mid-size and small publishing companies. Prior to 1983, David was director of single copy sales and marketing at Rolling Stone and Time Inc.
Deepak is responsible for developing the company's Asia Pacific strategic partnerships. Deepak Demiwal is co-founder and CEO of Demansol, which currently has more than 400 apps/games on Apple's AppStore and Google Play with more than 10 million users worldwide. Deepak co-founded Demansol, at the age of 24 in 2009, which was listed among the top 10 most promising mobile App companies in India for 2012. Deepak has over 6 years of mobile apps, games and software product development experience. Prior to Demansol, Deepak worked for Perot systems developing various mobile projects and systems. Deepak holds a Bachelor Degree of Engineering. As CEO, Ed oversees the company’s strategic direction. Ed co-founded The Source Magazine, arguably one of the most significant cultural phenomena in modern music and popular culture. He took it from a several hundred-paid circulation newsletter to an over 350,000-paid circulation magazine and from approximately $75,000 in revenue to in excess of $20,000,000 annually. During this time The Source was consistently profitable and was among the top five fastest growing magazines for every year during the 1990’s. Ed is currently the chief executive officer of F2F 6Sixty Digital. In addition, he holds interests in several other technology ventures. Ed serves on the board of the Institute for Entrepreneurial Leadership(IFEL) and is a Founding Member of Platform.org. 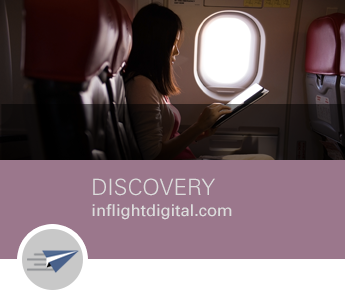 Inflight Digital last week cinched a new deal with Penguin Random House that expands the content options available for its Inflight Reader app. While some may opt to watch movies on their smart phones or tablets, others enjoy a good read. But who really wants to lug around three or four magazines with luggage? Not to fret. Inflight Digital CEO Ed Young announced a new app, the Inflight Reader App. Ed Young’s Big Plan for Magazine Media. Entertaining yourself at an airport—and in the air—just got a whole lot easier…and lighter. Gone are the days when you had to bring reading material to keep your mind occupied during your travels. Now, there’s Inflight Reader, an app for iOS and AndroidInflight Reader devices. f you’re anything like us, you love to load up on new magazines before a long flight—it might be the only free time you have to go offline and really enjoy a good story. But magazines are heavy and take up precious space in your carry-on. F2F | 6Sixty Digital Inc.